Following on from the PSB Tart this is my go-to Mid-Week Supper. 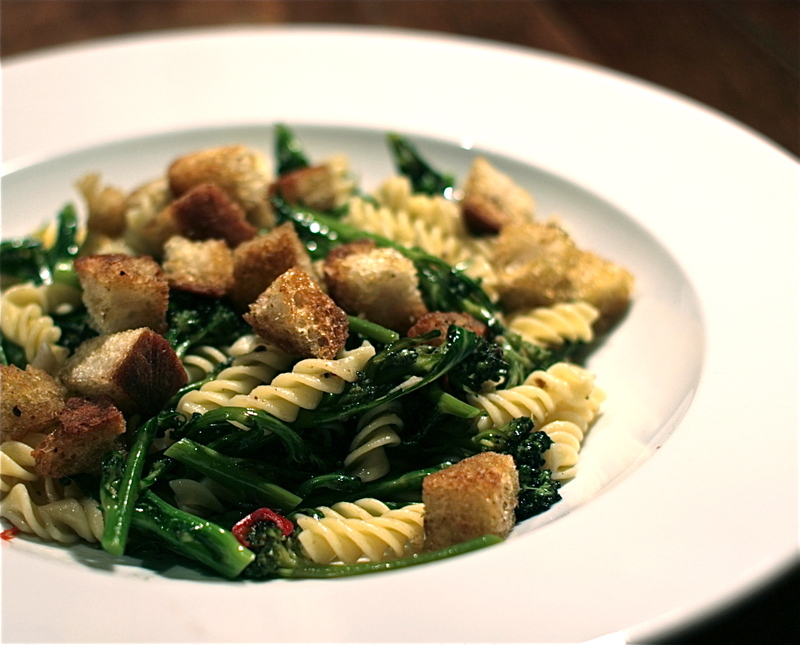 High on the flavour stakes, quick to put together, deeply satisfying and a great way to use up an umteen amount of PSB. 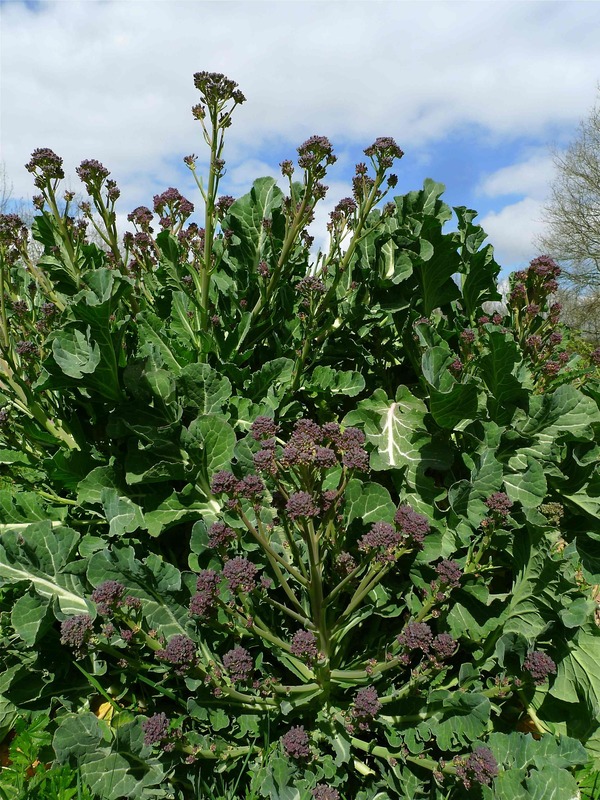 And a dish I’ve been dreaming of all winter eagerly anticipating the glutinous arrival of my homegrown Purple Sprouting Broccoli! The pairing of PSB and anchovies is a flavour combination I confess to having become more than a tad addicted to, but then I am a BIG anchovy fan and just don’t get people that aren’t. The duo here are also paired with an overtly generous amount of garlic, chilli and good olive oil, run through interesting egg pasta and topped with anchovy infused crunchy croutons and plenty of Parmesan. 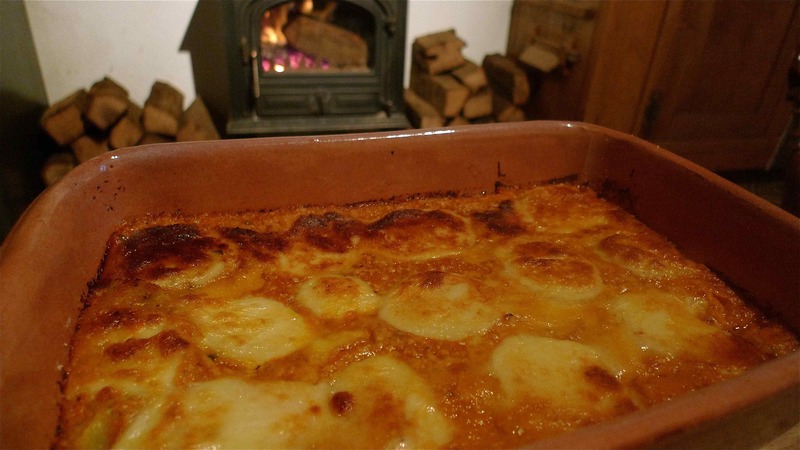 This is a dish that really gets my juices going, and certainly not one for the faint hearted!. Nor a dish for the littlies, sadly it’s way too salty and hot for little tums. But then it’s nice to have a grown up dinner sometimes isn’t it? 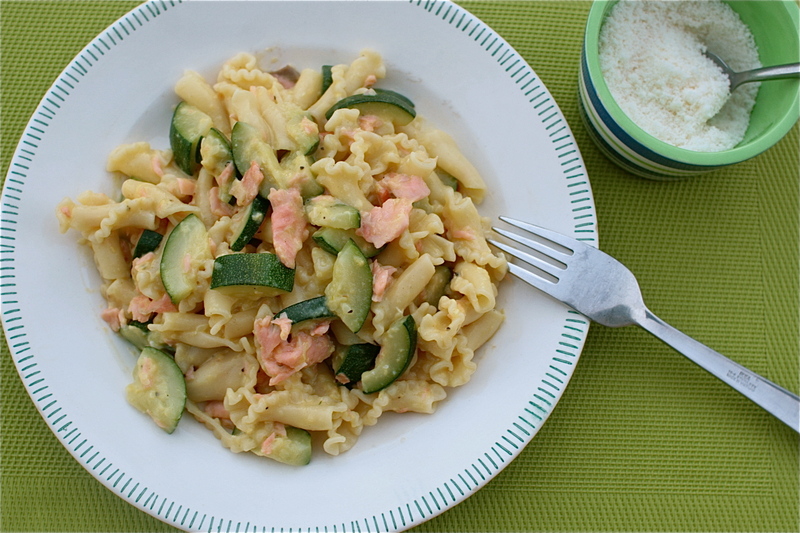 If you’re wanting something more child-friendly then PSB works wonderfully in Smoked Salmon & Broccoli Penne – my kids adore this for their dinner. Cook your pasta to packet instructions. Meanwhile prep and steam the PSB. Slice the tougher ends into inch long strips, leaving a generous couple of inches for the delicate purple florets. Steam over boiling water for 3 to 5 minutes until almost tender. Set aside. Place the garlic, chilli, anchovy fillets, olive oil and a generous pinch or two of black pepper in a large saucepan. Heat on a low temperature, stirring often. Once the anchovies have disintegrated into the oil tip in the steamed PSB. 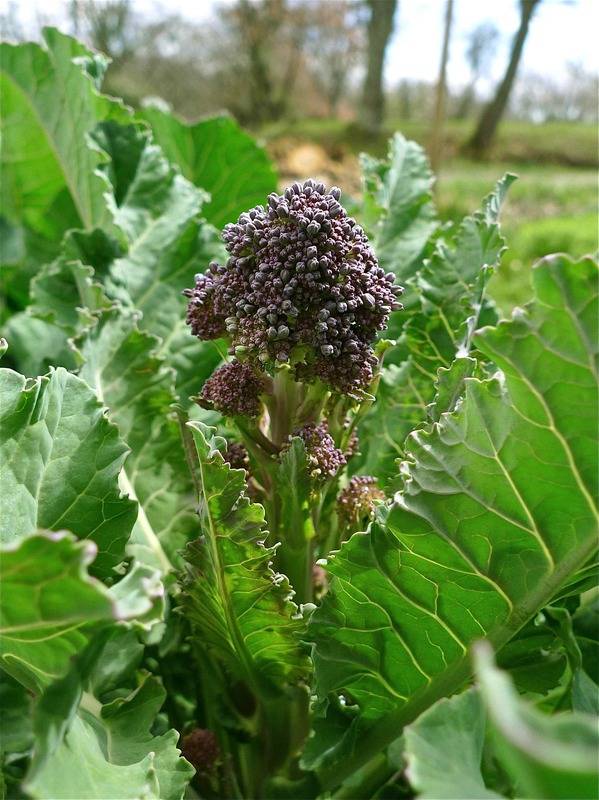 Give everything a good stir and continue to cook on a gentle heat for 2 to 3 minutes until the PSB is fully tender. Now for the croutons. Heat the oil with the anchovies and a generous pinch of pepper on a medium heat until the anchovies have disintegrated. Throw in the bread cubes and toss in the hot oil. Fry the bread on all sides until golden and crunchy. 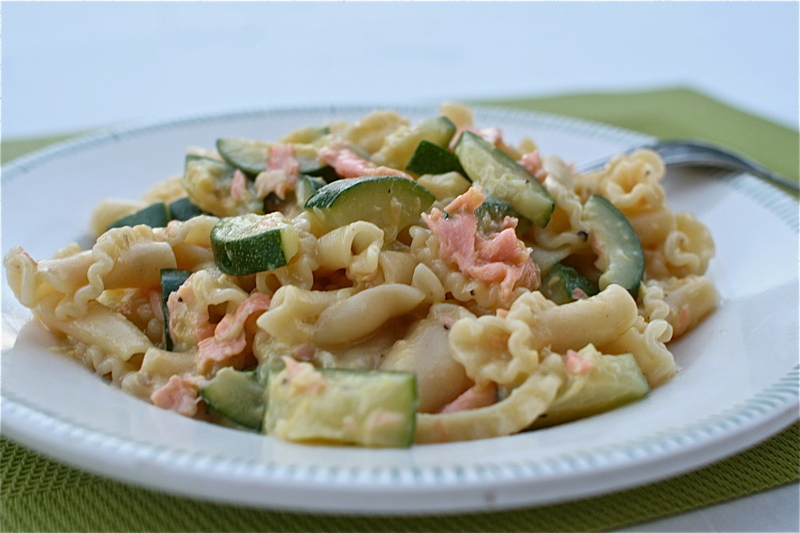 Once everything’s cooked combine the PSB with the pasta and a couple of tablespoons of set aside pasta water. 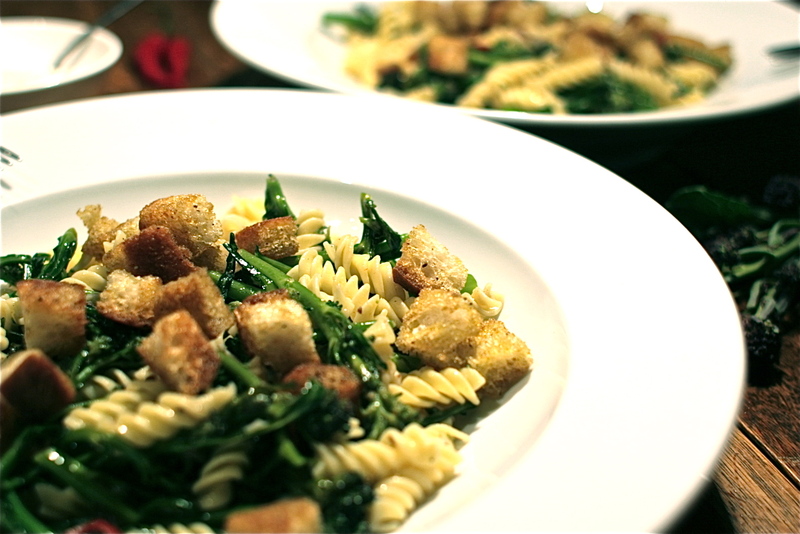 Serve in large bowls and scatter over the croutons. Liberally grate over some fresh Parmesan. Heaven. You know when you make something that you become a little obsessive about? And you end up eating it several times a week, and making every possible permutation of it. Well that’s pesto for me these days. Since I blogged my Parsley and Almond Pesto recipe back at the beginning of January it’s fair to say my processor’s been turning out an inordinate amount of pesto. But my latest addiction is one made with crumbled Stilton, lightly toasted Walnuts, Walnut Oil and Parsley. Make it. Please. It’s heavenly. 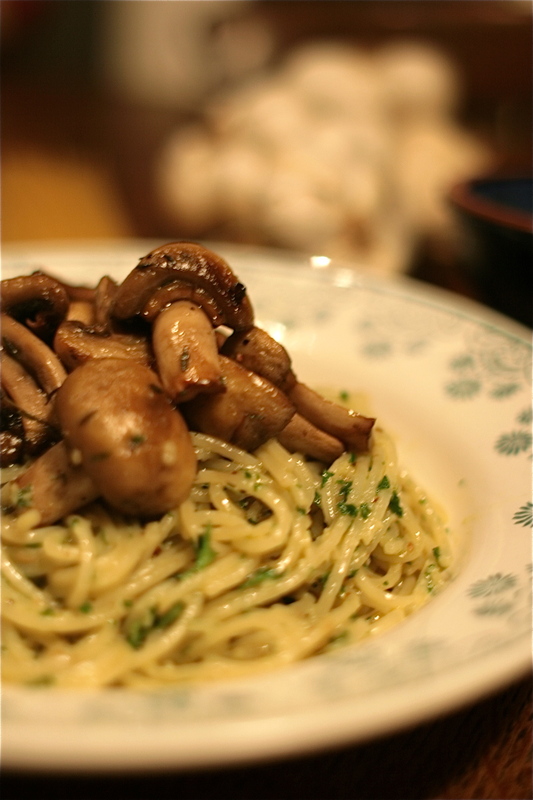 And particularly wonderful melted into pasta with a generous serving of roasted mushrooms on the top. It’s also fair to say I have a wee addiction to Roasted Mushrooms. After my success of the Roasted Wild Mushroom Pizza, I’ve been roasting wild and ordinary mushies and adding them to many a Pizza, Risotto, Pasta dish, Bruschetta or Omelette. Believe me once you’ve tried roasting mushrooms you’ll never go back! A Hard Cheese – Parmesan, Grana Padano, Pecorino, Mature Cheddar, Mature Manchego, Comte, Stilton – anything with a strong flavour really! 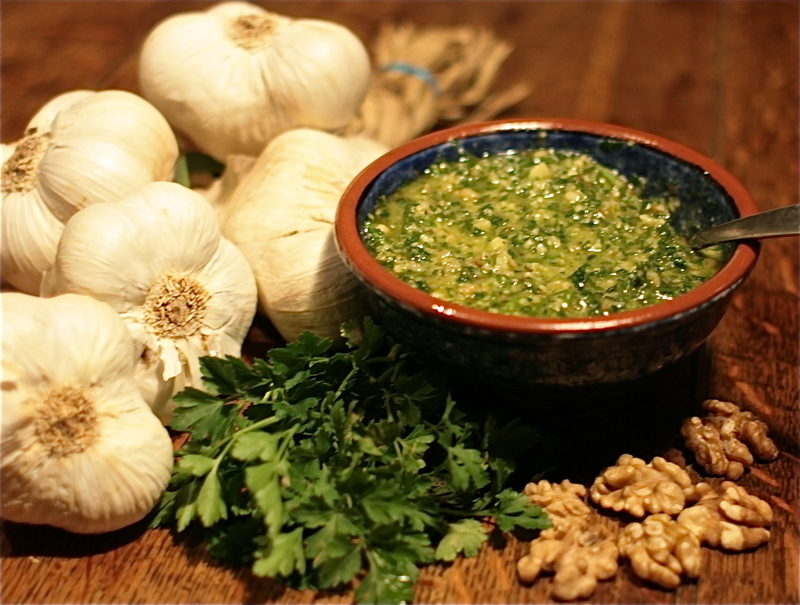 Garlic – Unfortunately no pesto is quite right without a little garlic! Crush all together in a Pestle & Mortar or like me take the easy option of blitzing with a stick blender or food processor. And there you have it a bowl of your very own pick and mix pesto! 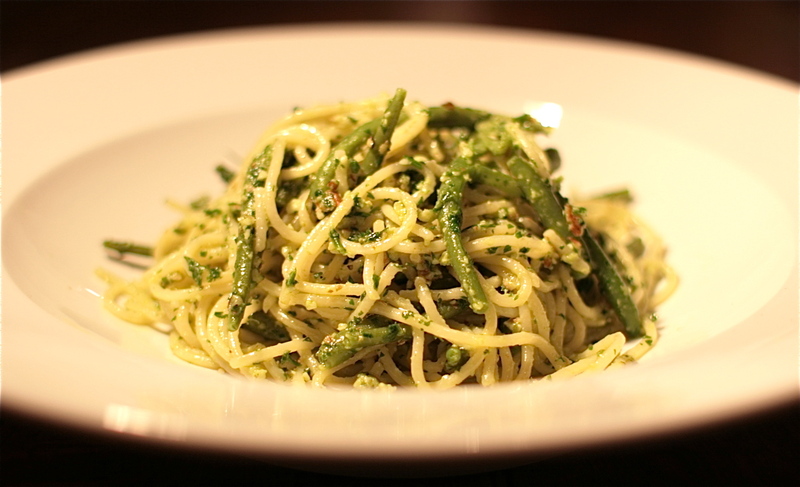 And pesto isn’t just for pasta! It’s perfect smothered on a pizza base in place of a tomato sauce – I have my Rocket Pesto Pizza coming very shortly for that. It’s great on puff pastry as a tart base (A Couple of Tomato Tarts), perfect paired with salad or Goats Cheese or both in a sandwich, spread on toast or muffins with creme cheese (and avocado if you want to be really extravagant!) and glorious on a jacket potato. 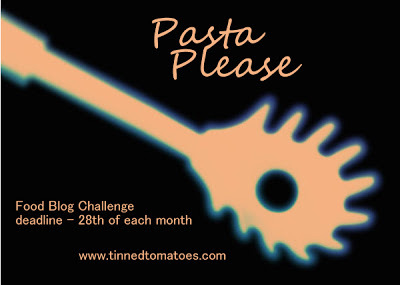 As luck would have it Homemade Pesto is the theme of this month’s Pasta Please, a monthly challenge held by Jacqueline of the super veggie blog Tinned Tomatoes, and this month hosted by Jen of Blue Kitchen Bakes. 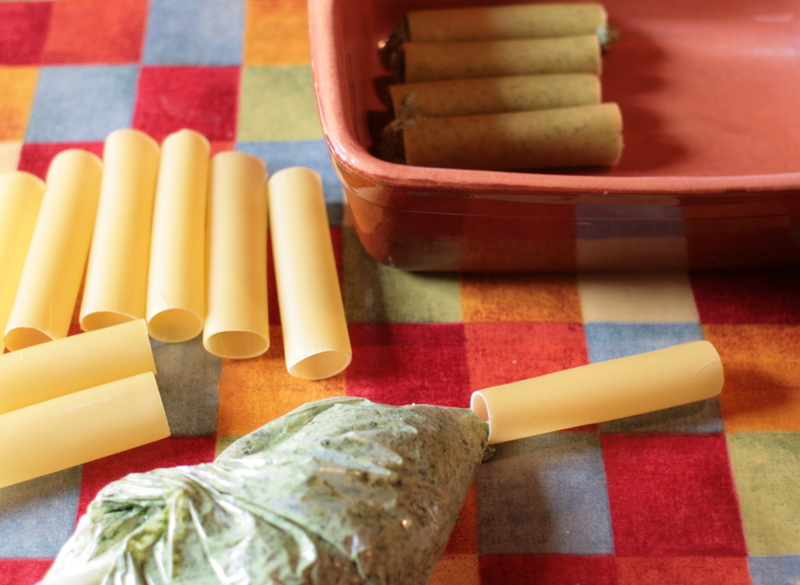 So naturally I shall be entering this very pesto-ey blog! I’m also entering it to Lavender and Lovage’s Herbs on Saturday challenge, this month hosted by London Busybody. Tear or cut the mushrooms into bite sized pieces. I leave button sized whole and Chestnuts I half or quarter if particularly big. Place on an oven tray along with the garlic pieces and drizzle over the olive oil. Sprinkle over the thyme leaves and a generous pinch of salt and pepper. Using your hands give everything a good mix ensuring the mushrooms are evenly coated. Place the mushrooms in the oven for 20 minutes, and stir and turn about half way through. 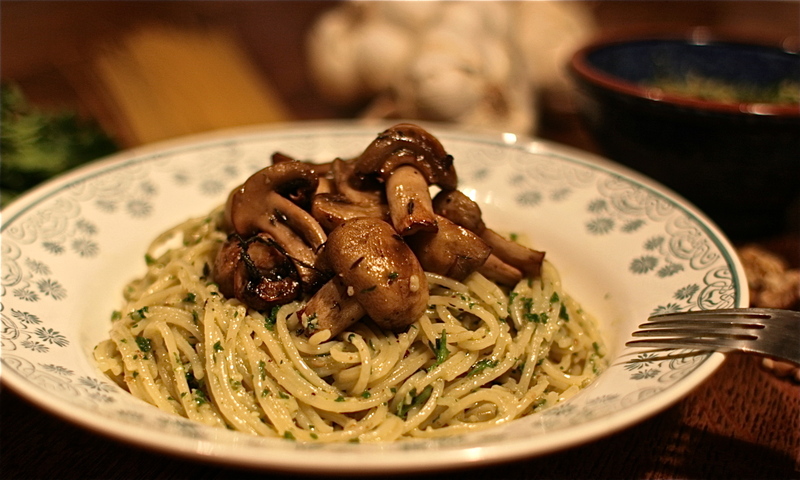 Whilst the mushrooms are roasting cook your pasta to packet instructions and prep your pesto. Start with toasting the walnuts. Heat a frying pan on a medium heat until hot, throw in the walnuts and lightly toast for a few minutes, turning and shaking very frequently – you only want a light colouring and toasting to boost flavour and no burnt black bits. Now place all the pesto ingredients (including the toasted walnuts) bar the seasoning in a food processor and pulse a few times. If you don’t have a processor use a deep sided bowl and a stick blender or a pestle and mortar. I prefer a fairly coarse texture so you can really taste and identify the walnuts. Once you have your desired texture, taste and season with plenty of black pepper and a little salt to suit. Once the pasta’s cooked drain and run the pesto through it, I use a pair of tongues to do this. Place the pasta evenly on four plates or bowls and serve with a pile of the roasted mushrooms on the top. Enjoy! 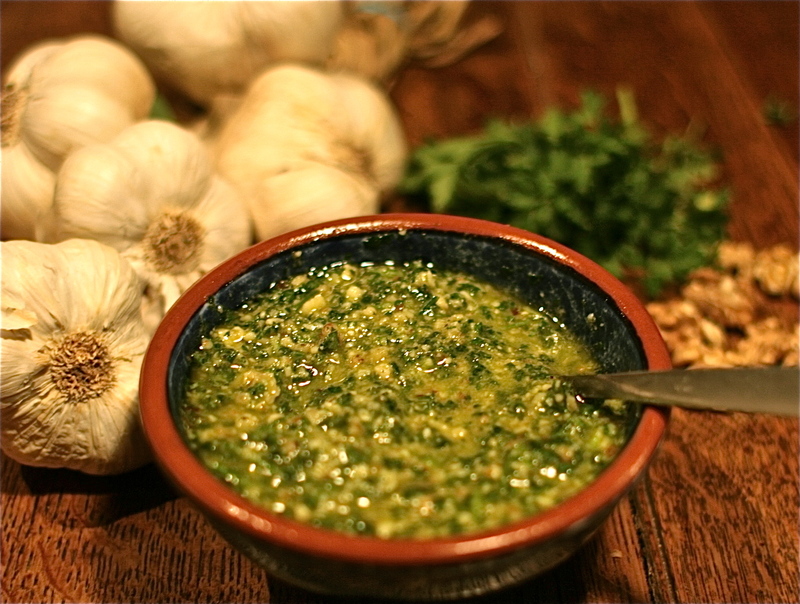 Happy New Year, and a Parsley Pesto to you! Well christmas was mayhem at Chez Foti. Lots of friends and family guests, way too much food and good wine, late nights, plenty of doggie walks in the glorious (and surprisingly mild) sunshine and a couple of days of sledging in the Pyrenees. A fabulous time. And now the house is quiet, well as quiet as it gets with a two and a four year old and two chaotic doggies. Here’s hoping you all had a fab festive time and wishing everyone the very best for 2013. I have to admit to very little on the cooking front since New Years Day. After weeks of pre-christmas freezer-filling baking and cooking it’s been a welcome break to gorge on the leftovers and eat simple pasta suppers. 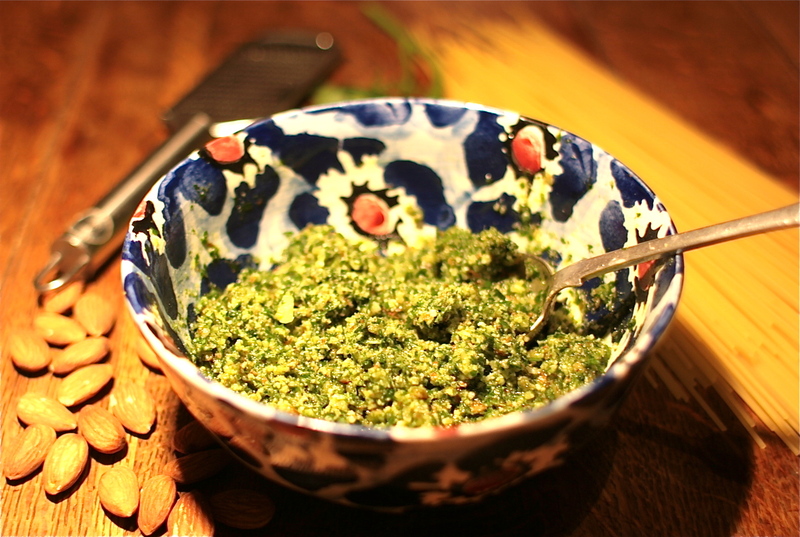 But I have been making plenty of my own pesto, which is ridiculously quick and simple to make. I’ve been using parsley instead of basil, and almonds instead of pine kernels, with fabulous results. My basil finished weeks ago in the garden but the Parsley’s still in happy abundance. And you really can’t beat a bowl of pasta served plainly and simply with lashings of homemade pesto. Though if you want to veg things up a little, as I always do, it’s wonderful with a handful or two of steamed french beans or courgette strips running through the pasta too. Being of largely herby composition I’m entering my pesto to Lavender and Lovage’s Herbs on Saturday challenge, this month hosted by Vanesther at Bangers and Mash Chat. Simply place all the ingredients, bar the lemon, salt and pepper in a food processor and whiz until you have a your desired pesto texture. I like mine fairly rustic with a few lumps and bumps. Or place all the ingredients in a bowl and blitz with a stick blender. Both work equally well. Taste and season with a little lemon juice, salt and freshly ground black pepper. 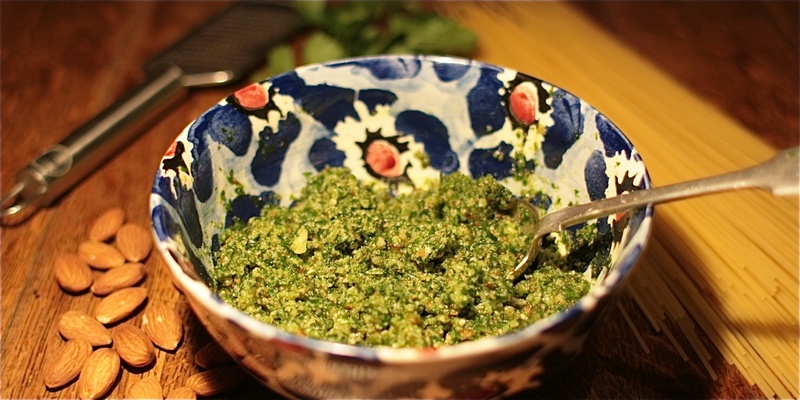 Et voila, you have super-quick super-tasty homemade pesto. 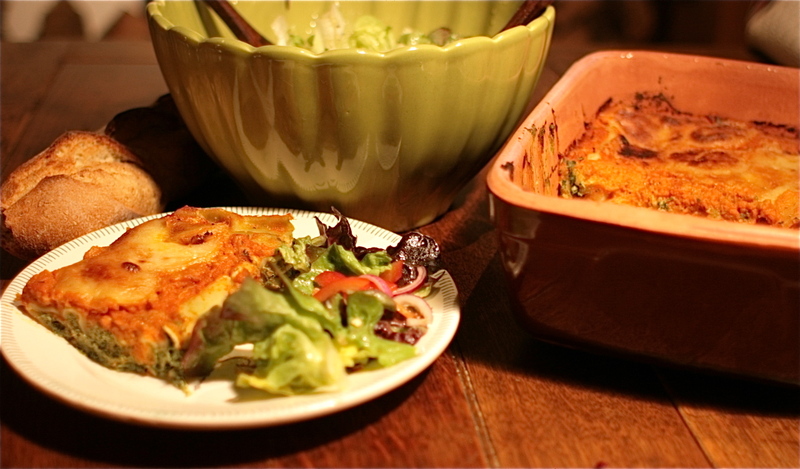 Serve with pasta and/or veggies of your choice. I finally picked the rest of our pumpkins and squash yesterday. Frosts are on their way and I wanted to get them under cover sharpish. I have to admit most are looking more that a tad sorry for themselves and in need of some strong sun to finish ripening, and being a bit of a novice at these things I’m not really sure what to do! I grew lots of pumpkins last year in my first season of growing but they were all fully ripened and orange by now. Should I keep them inside and bring them out on sunny days? Or resurrect and put in the poly tunnel? Or should I just eat them as they are? Any pumpkin professionals out there willing to offer me some advice? 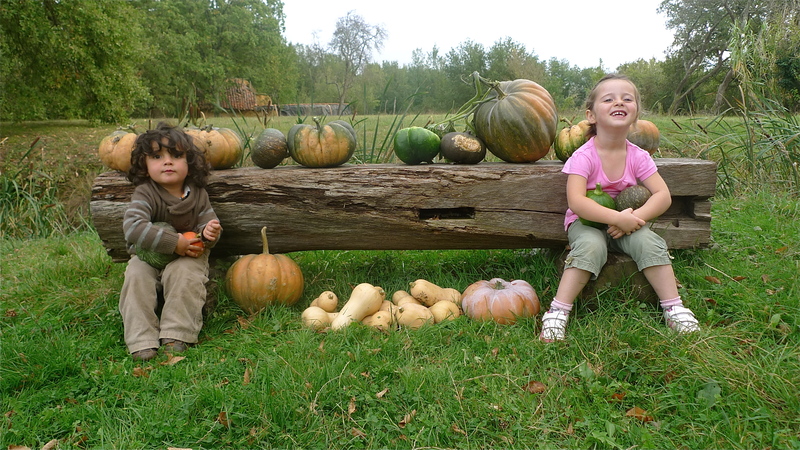 The last of the pumpkins & squash! Luckily I’ve already picked lots of fully ripened radiantly orange pumpkins and so it’s pumpkin with everything these days at Chez Foti. 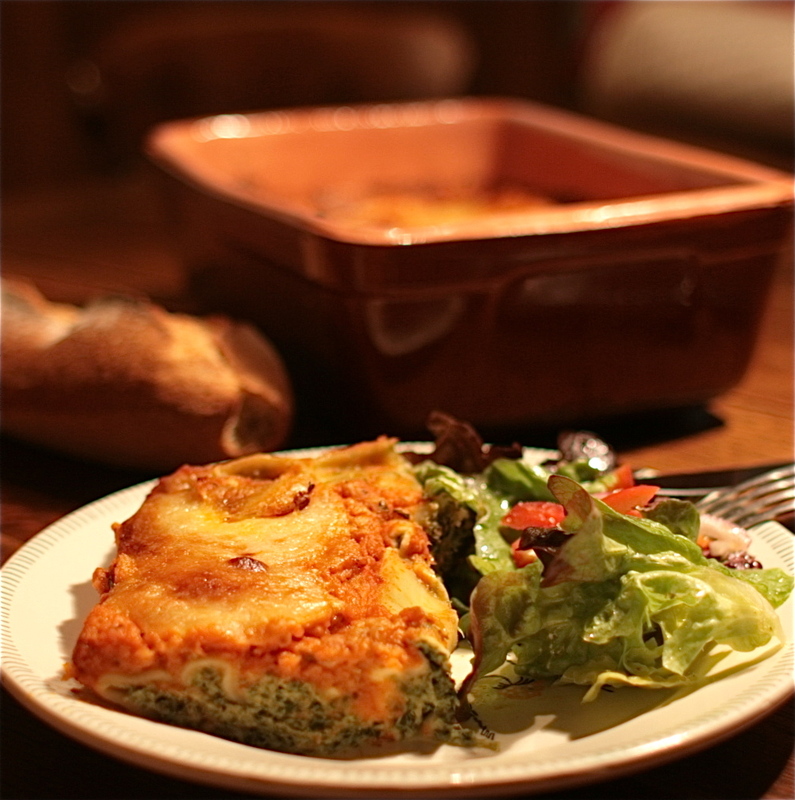 And as usual I’m loving adding a seasonal touch of healthiness to our favourite family suppers. It was the turn of the carbonara this week. Much as I love carbonara made traditionally with just eggs, bacon and parmesan it’s not exactly nutrient rich and I’m reluctant to give it to my kids in its basic form. Whilst Mr F and I will happily eat a large leafy salad on the side the kids won’t, so I like to add some veggie goodness to the sauce. 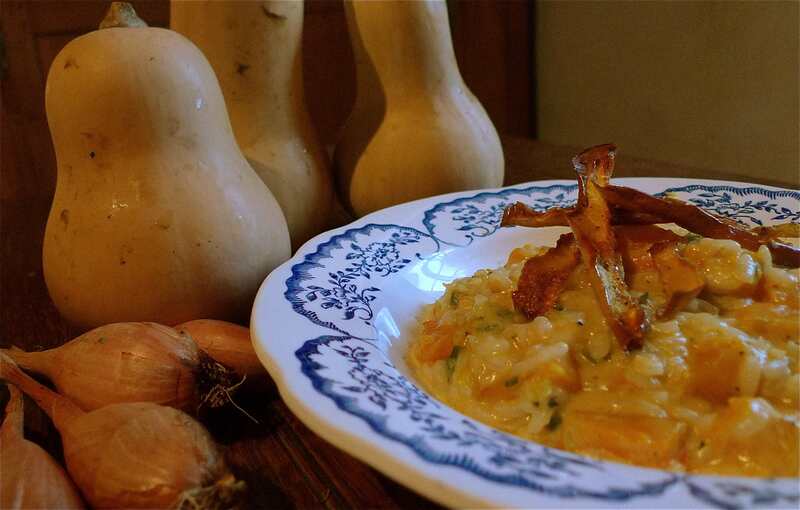 Pumpkin works wonderfully with both parmesan and bacon and so it’s a natural for carbonara, and I also like to add a little fresh sage which is the perfect paring for pumpkin and bacon. If you don’t have any flavoursome pumpkin to hand (and believe me it’s not nice to cook with if it isn’t!) you can happily use butternut instead. Since my carbonara is flavoured with sage I’m entering the recipe (for the second time this month!) 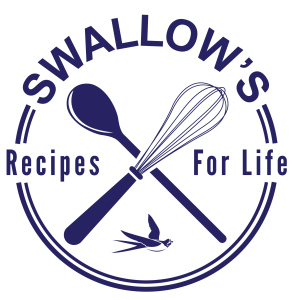 to Lavender and Lovage’s October Herbs on Saturday blog challenge. 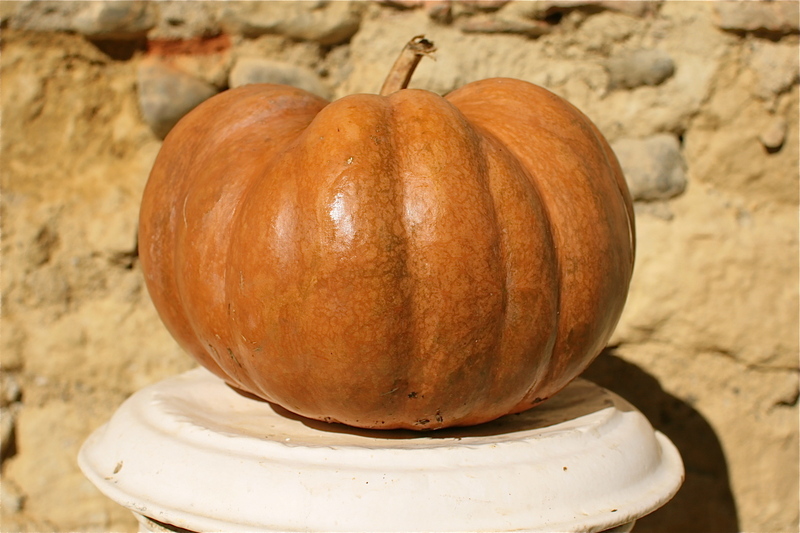 Start with roasting your pumpkin or butternut. Pre-heat your oven to 200ºC/Gas Mark 6. Dice into smallish 1 to 1.5cm cubes, toss in the olive oil and a pinch of salt and black pepper. Place on a roasting tray and roast for 25 to 30 minutes until soft and slightly browned, turning once or twice during the cooking time. Cook your pasta to packet instructions. 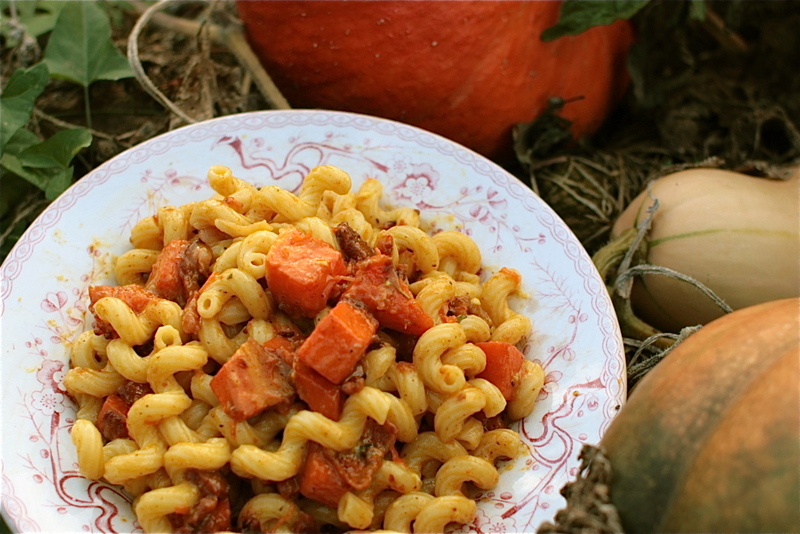 Try to time so your pasta is cooked and ready at the same time as the pumpkin roasted and bacon browned. Meanwhile heat a frying pan on a medium heat and fry off the lardons or streaky bacon (in their own fat) with the sage and garlic. Drain off any excess fat. Fry until the bacon is a little browned. While the bacon’s frying, whisk the eggs lightly and stir in the Parmesan and a generous pinch of black pepper (you shouldn’t need any further salt as there’s plenty in the bacon and parmesan). As soon as the pumpkin, pasta and bacon are all cooked and still piping hot throw them all together in one pan and thoroughly stir in the egg and Parmesan mix. Don’t put the pan back on the heat or you’ll have pasta with scrambled eggs! What you want is a lovely glossy eggy coating. Taste and add further pepper if it needs it (I do like lots of pepper on my food!). Ordinarily this a wintry mid-week supper favourite at Chez Foti; a handy and quick store-cupboard dinner using tinned tomatoes. But with so many fresh tommies to hand it’s been made numerous times over the summer in my efforts to use up some of the glut. 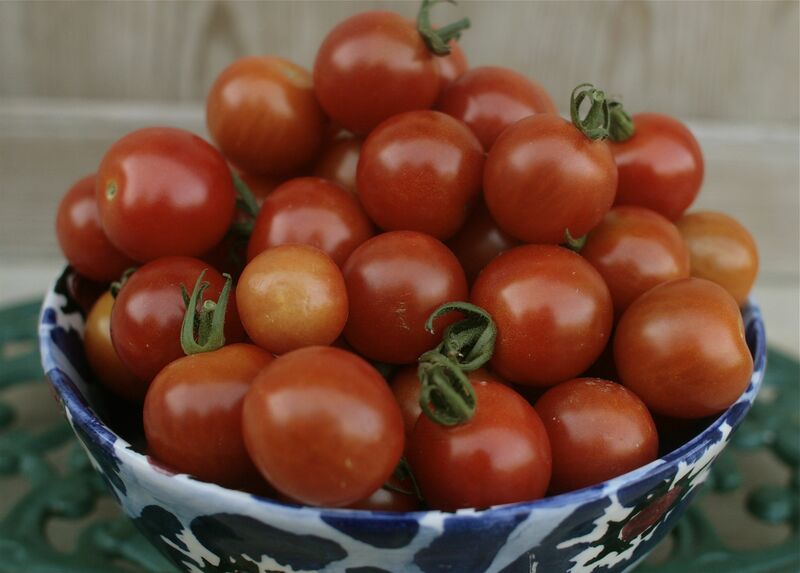 And it’s good, so much the better to be made with perfectly ripe, flavoursome, sweet and in-season tomatoes. You won’t be disappointed. 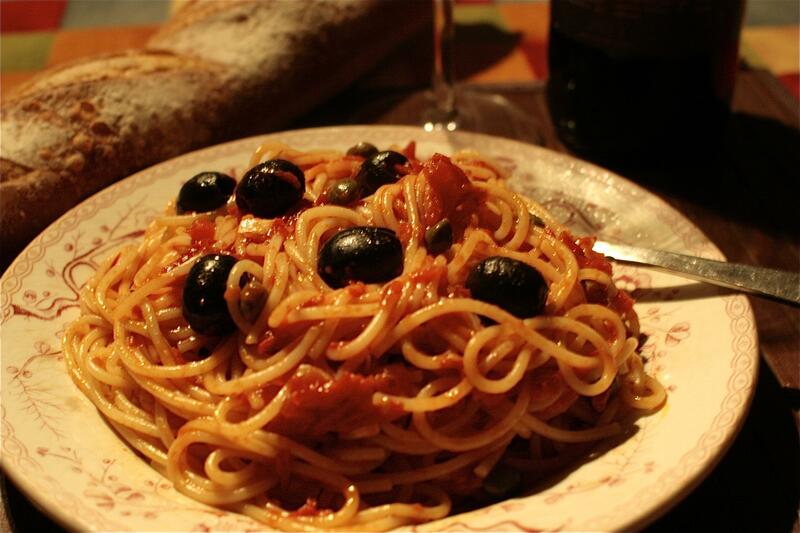 A bit of an Italian classic, Puttanesca is a heady mix of tomatoes, anchovies, capers, garlic, chili and olives. In Italian it literally translates as ‘whore’s spaghetti! Lovely. And it is. If you’ve never tried or made it you should. Deliciously simple. I have no problem with using the tomato skin or seeds in recipes like this, but purists would balk. It’s up to you. If you want to remove the skins immerse the tommies in boiling water for 30 to 40 seconds then in a bowl of really cold water, they’ll then slip off easily. 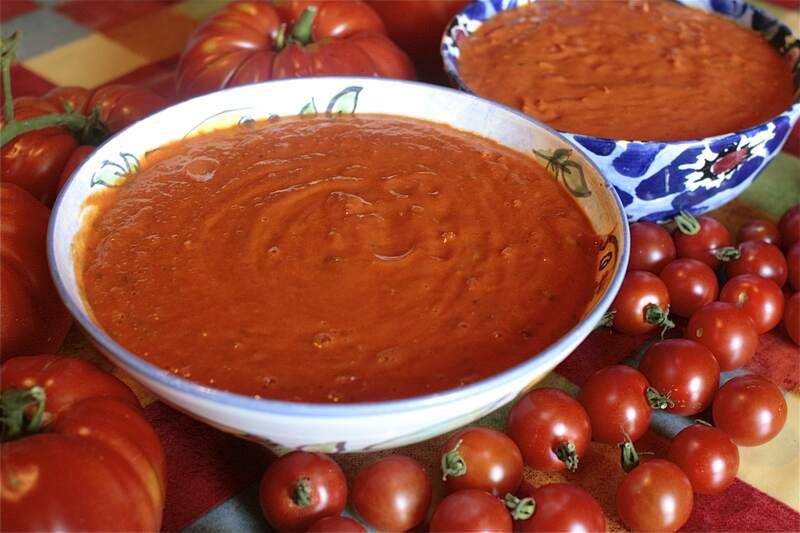 I use my plum tomatoes (which are the best for cooking with) for this sauce, but any very ripe, sweet tomatoes will be wonderful. Heat the oil in a large saucepan on a gentle heat. Fry the chili, garlic and anchovies for a couple of minutes until the anchovies are almost disintegrated. 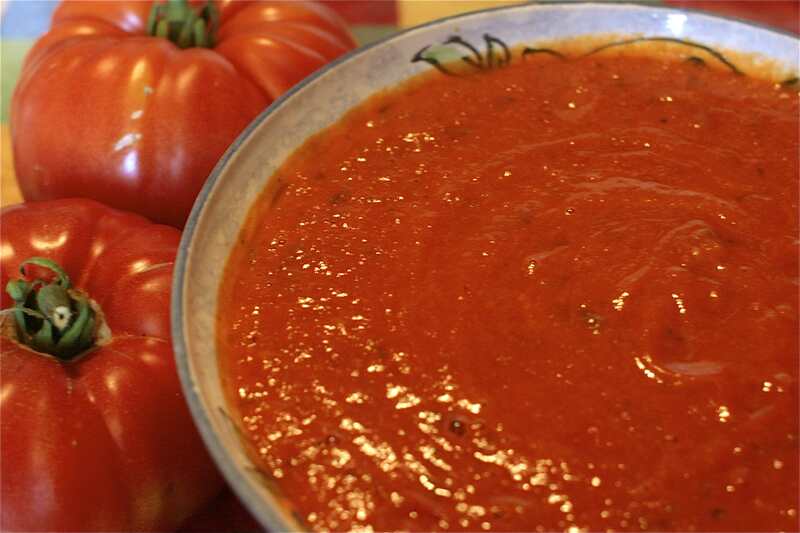 Slide in the tomatoes and add a generous pinch of coarsely ground black pepper and a small pinch of sugar. Give everything a good stir. Allow to simmer for 20 minutes. Meanwhile cook the spaghetti to packet instructions. The sauce is ready when it’s thickened and very flavoursome. Stir in the olives and capers. Have a taste check adding more black pepper to suit. Obviously you could add salt but there’s a fair whack already in there from the anchovies and capers so it’s unlikely you’ll need more. Run the sauce through the spaghetti and serve immediately. 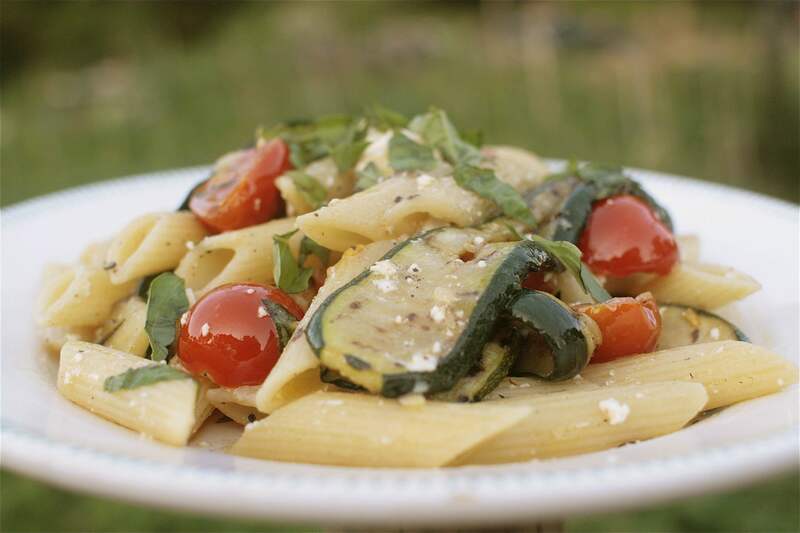 I’m entering my recipe to Ren Behan’s Fabulicious Food August Simple and in Season blog challenge, as you can’t really get much more simple or seasonal than this Garden Pasta supper. Combine the lemon juice, oil and a pinch each of salt and pepper in a bowl. Heat a griddle pan or frying pan to a very high temperature. Dip each courgette strip into the above marinade and griddle or fry in a pan on both sides until cooked through, coloured and soft. Once cooked set aside in another bowl. Once all the strips have been cooked drizzle over any remaining marinade juices. 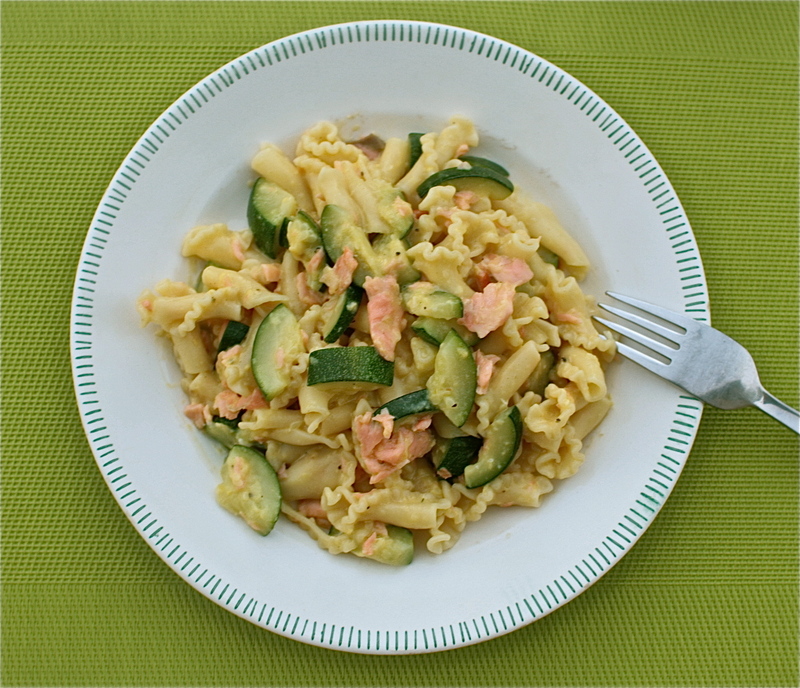 Cook the pasta to packet instructions whilst you’re griddling the courgettes. Once cooked, drain and put back in the pan and stir through the cherry tomatoes and marinated courgettes. Place back on the heat for a couple of minutes until the tomatoes are just starting to soften. Take off the heat and stir through the feta and most of the basil. Retain a few torn leaves for garnish. Taste and add a little more lemon juice, salt and pepper to suit. Serve with a drizzle of extra virgin olive oil over the top and the rest of the basil leaves. 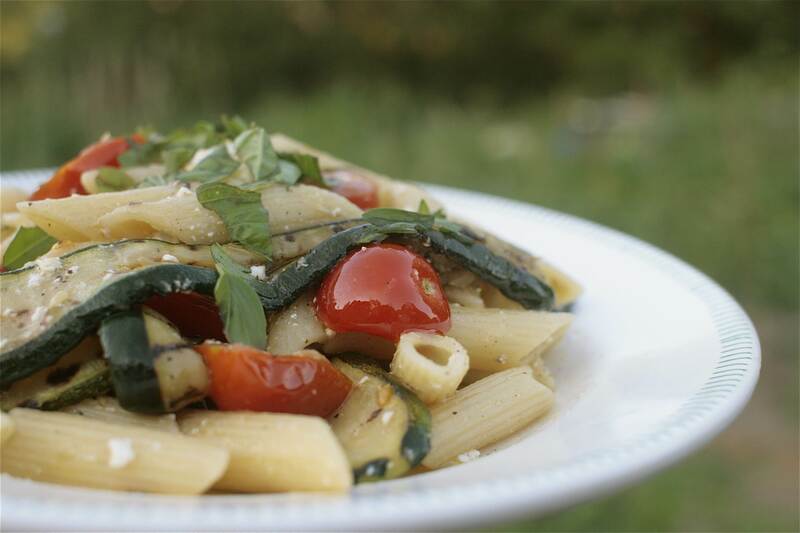 How about trying some of my other tomato or courgette recipes? A Glut of Tomatoes Pasta Sauces, Tagliatelle with Cherry Tomatoes & Mascarpone, 70s Flashback Stuffed Marrow or Courgette, Feta & Basil Bruschetta or Spinach, Courgette & Pesto Risotto. A Glut of Tomatoes Pasta Sauces! It’s the war of the tomatoes this week (and month) at Chez Foti, there’s a daily battle between myself and the ridiculously extravagant sixty three tomato plants I’ve somehow ended up with (an over exhuberance in seed sowing and a problem number of self-seeders literally fruiting up all over the plot!). 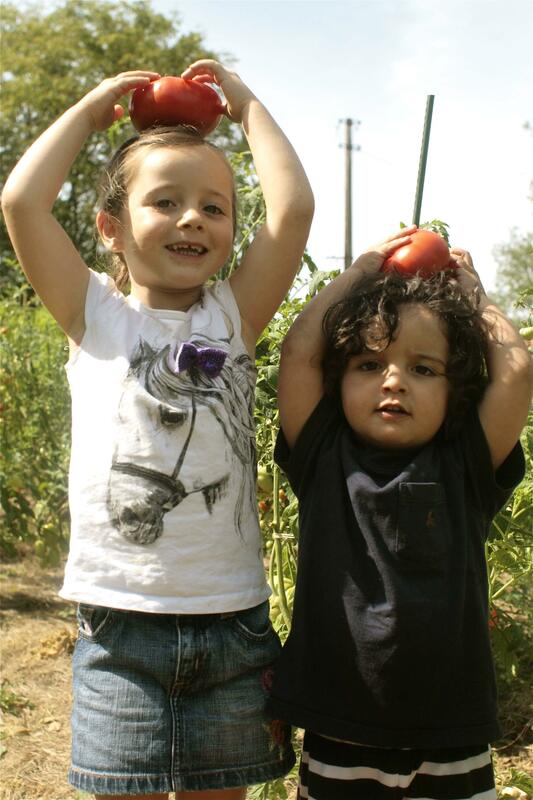 Every day I fill an enormous basket worth (with the help of my two little tomato pickers – see pics below) and use up every minute of available time (which is never all that much with a two and a nearly four year old to entertain too) transforming them into something tasty for the future. An inordinate amount of my time seems to be spent chopping tomatoes. But there’s always a tray full of surplus at the end of the day, and today I now have two trays worth. And we’re only at the beginning of the tomato season. Our new chest freezer’s meanwhile filling up nicely, it arrived last week just in the nick of time. I fear we’ll be ordering another before the end of the summer. Today in the Chez Foti Battle of the Tomatoes it was the turn of the pasta sauces, a roasted in the oven with thyme and garlic Cherry Tomato Sauce and a slow cooked on the hob with garlic and plenty of oregano Beef Tomato Sauce. Both are divinely simple but packed full of intense flavour through slow cooking, good quality olive oil and plenty of fresh from the garden herbs. 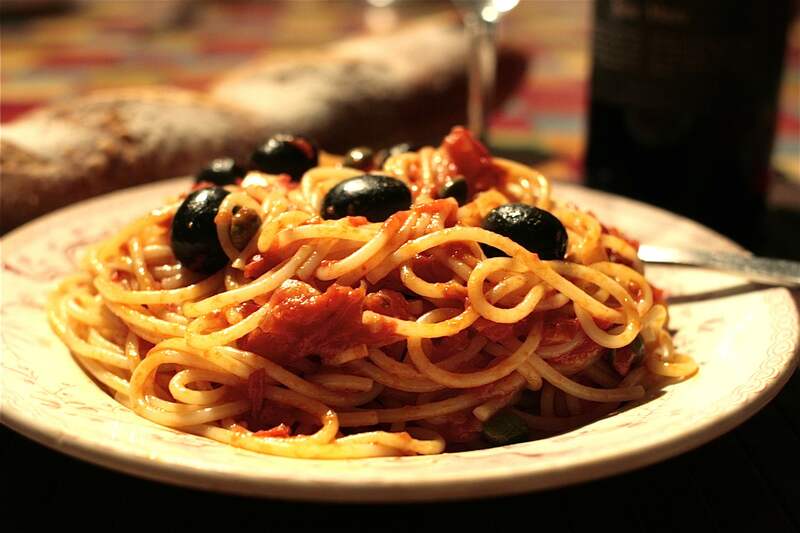 Great to use just as they are as a pasta or pizza sauce or sublime with a stirring through of a little creme fraiche and/or balsamic, fresh basil or oregano….and then topped with a further drizzle of good quality olive oil (or chili oil) or Parmesan. Happy days! 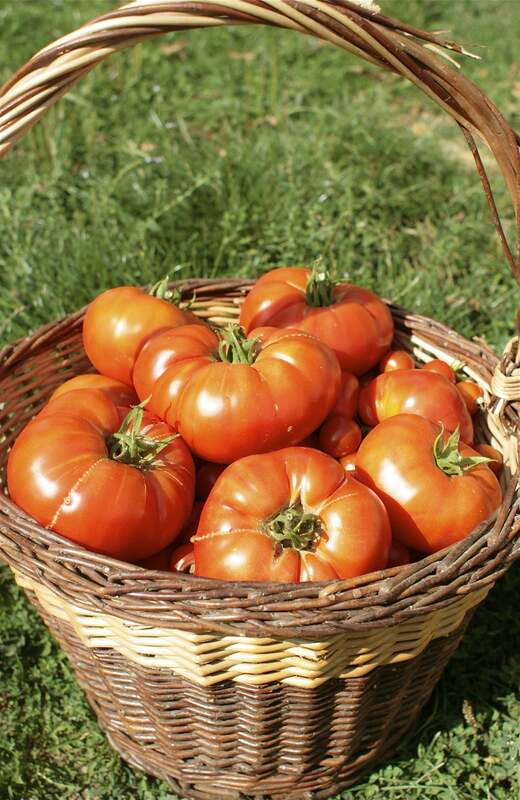 I’ve also used these as a base for a very rich tomato soup or thinned down (with milk and water) as a sauce for meatballs. My kids adore both these sauces as much as we do, and they make a super quick and healthy pasta supper when short on time. Which is just as well as I now have half a freezer full. I tend to stir a little creme fraiche into the sauce for the littlies making it extra creamy, and I also go easy on the salt content. As a fair whack of my herb garden has been going into these tomato sauces I thought it more than appropriate to enter this post to the lovely Herbs on Saturday blog challenge held by Karen at Lavender and Lovage. There’s always plenty of gorgeous herby recipes to check out each month so keep the page bookmarked! Heat your oven to 160ºC. 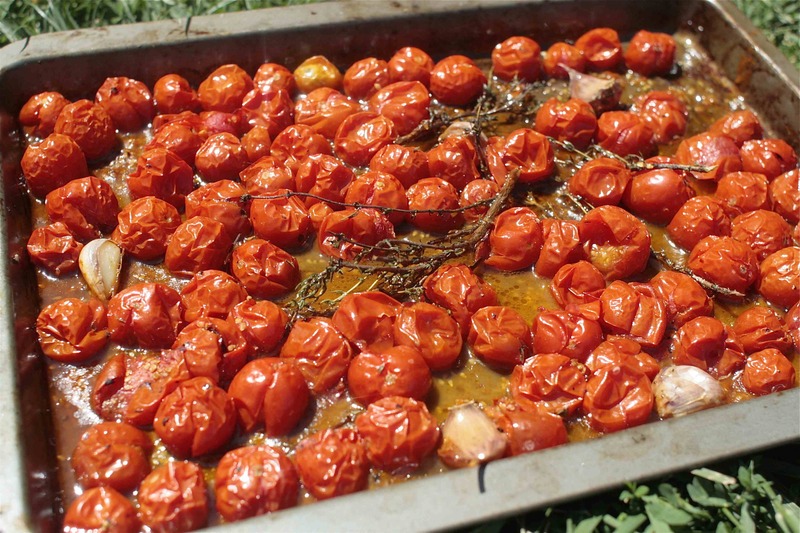 Fill an oven tray with whole cherry tomatoes (which is about a kilo, maybe a little more). Sprinkle over a generous pinch or two of black pepper and Maldon (or similar) sea salt. Remove the leaves from some of the thyme sprigs and scatter over, leave some whole. Nuzzle in the whole sprigs and un-peeled garlic cloves where you have space. Drizzle over the olive oil. Bake in the oven for about 45 minutes until the tomatoes are completely soft and collapsing. Remove the thyme sprigs and garlic. Tip the tomatoes into a food processor or blender, making sure you fully scrape off all the lovely residue and oil from the tray. Squeeze out the goey goodness from each of the garlic cloves into the tomatoes too. Whiz until you have a super smooth sauce. Alternatively tip the tommies and garlic into a bowl and use a stick blender to do the whizzing (my preferred method as there’s less washing up!). Have a taste check and add more salt and pepper to suit. a few sprigs of fresh oregano, leaves removed. Be generous! Chop up all your tomatoes to a medium dice. I tend to use the skin and seeds but not everyone likes to, so remove if you wish. Heat the oil in a very large saucepan or stock pot on a lowish heat. Fry the garlic for a couple of minutes and at the point when it’s just starting to take on some colour tip the tomatoes into the pan. It’s important not to burn the garlic or this will taint the sauce. Stir in the pepper, salt and sugar and bring to a simmer on a medium heat. Once simmering turn the temperature down to the lowest setting and allow to bubble away for about an hour until much reduced and considerably thickened. Half way through the cooking time stir in the oregano leaves. 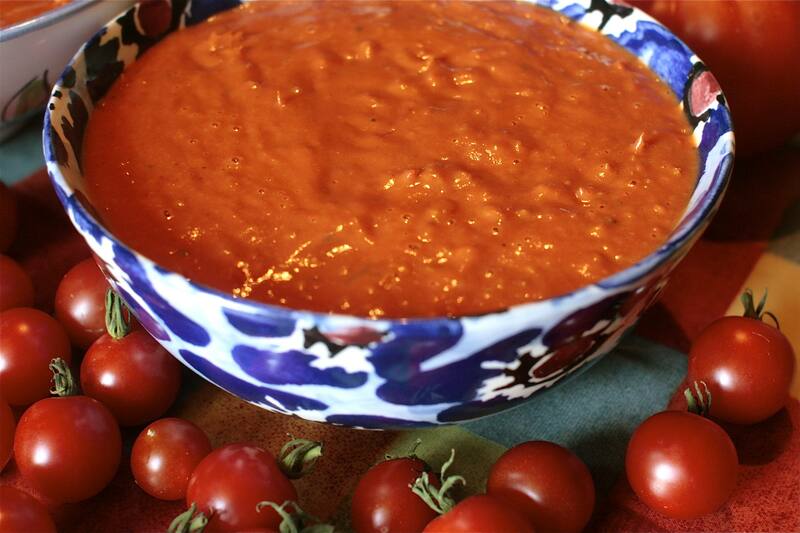 Allow to cool for a few minutes before whizzing up in a processor or blender, or a stick blender straight into the pan, until you have a super smooth sauce. Have a taste check and add more salt and pepper to suit. A touch of tomato balancing envy! 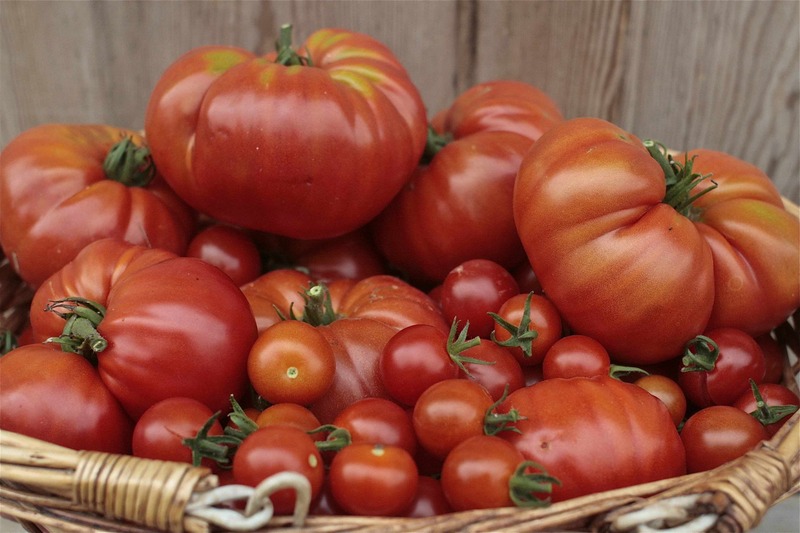 The first of my Tomato ‘Veg of the Month‘ recipes. I’m growing cherries, plums and beefies this year…and at today’s count I’ve 63 plants (I keep finding random self-seeded plants around the patch, as if I need any more! ), which admittedly is an awful lot for a family of four. So you can expect an awful lot of tomatoey recipes over the next few weeks. 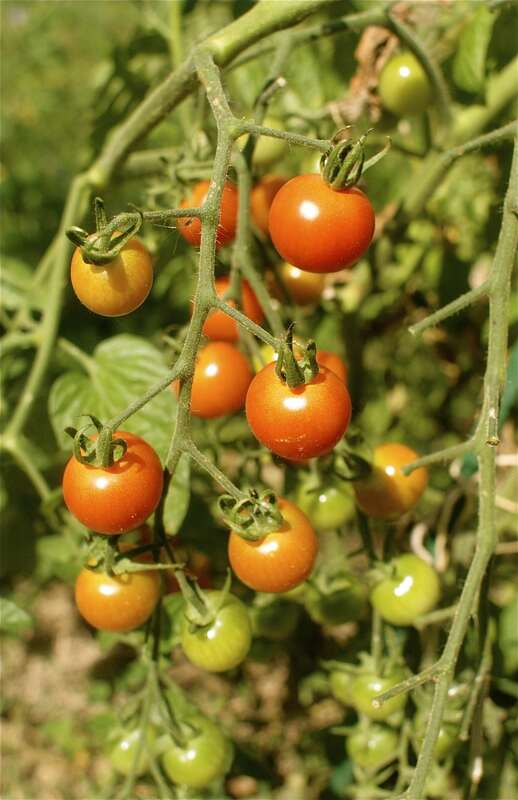 And today’s it’s the turn of the super-sweet Cherry Tomatoes. This is a real quickie of a mid-week supper that we’ve had a couple of times in the last week. 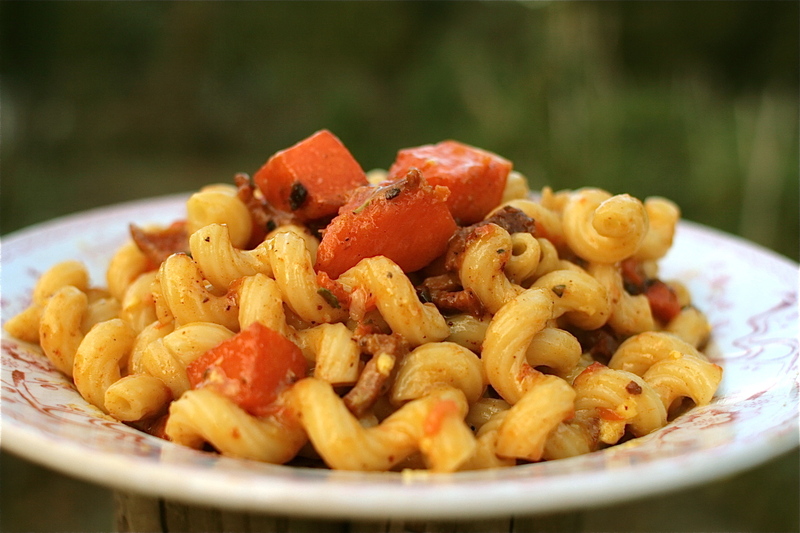 I love a tasty simple pasta sauce that can be made in the time it takes to cook the pasta in, and this is no exception. Cook the pasta in boiling water to packet instructions. Whilst the pasta’s cooking heat the olive oil in a medium sized saucepan, add the shallots and saute over a gentle heat for 4 to 5 minutes until softened. Stir in the cherry tomatoes and continue to cook for a minute or two. When they start to soften stir in the mascarpone and a pinch each of salt, pepper and sugar. Bring to a gentle bubbling then take off the heat. Stir in most of the basil, retaining a few pieces to go on the top. 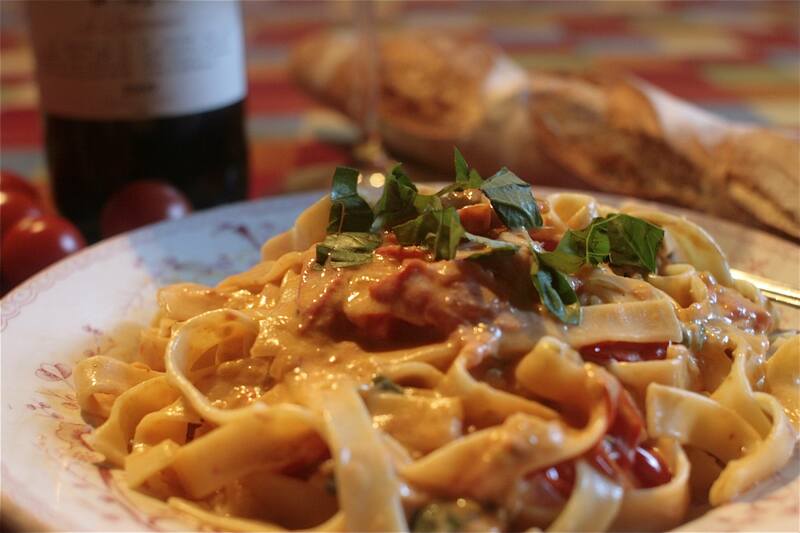 Combine the tagliatelle with the sauce and serve with a scattering of basil over the top. Job done. Told you it was a quickie. Off to pick some more tomatoes.